Developer: Lab42 Soft. Co.: Ripstone Ltd. Licensed by the sport s global officiating body, World Snooker, the game includes top players from across the globe and over a dozen, beautifully rendered, real world venues as well as every official tournament. 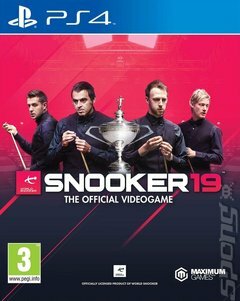 Developed by Leamington based Lab42, Snooker 19 will feature 128 of the world s top players including Ronnie O Sullivan, Judd Trump, Mark Selby and Ding Junhui as they take to the table at iconic venues including The Crucible and Alexandra Palace and in countries across the world including China and Germany. Players will be able to compete in every major tournament culminating with the World Championship in Sheffield. Take on legends like Ronnie O Sullivan, Mark Selby and Judd Trump, and play in every major tournament and championship from the China Open to the World Championship, and everything in-between.